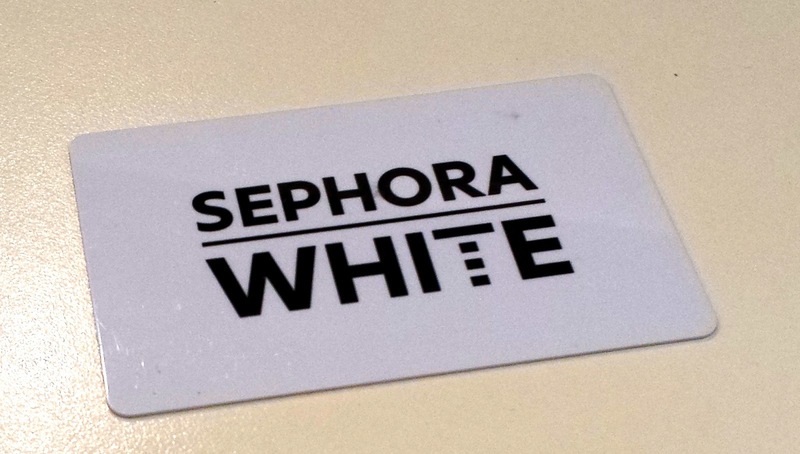 I'm so excited with this Sephora White Card when I got it 3 weeks ago from Sephora in Al Whada Mall, Abu Dhabi. I was repurchasing some items and checking out if Huda Lashes is out in Abu Dhabi and when I was about to pay this very nice lady offered me the Sephora White Card so glad she did. 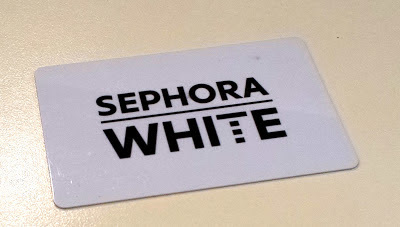 Basically with this White Card all you have to do is earn 200 points to get the Black Card, It's a Loyalty Card from Sephora that offers you so many good things. They offer this card in other countries so it's a good thing that they brought it here in the Middle East. It's available in at all Sephora in Saudi Arabia, UAE, Bahrain and Qatar. So how do you earn the points? With every 10 dhs worth of purchase from Sephora you will be getting 1 point. So if you buy a 60dhs product from Sephora you will get 6 points. So the 200 points will cost you 2000 DHS. What do I get with white card? Once you have your white card they will send you an email. You have to print that welcome email with the barcode below so on your next visit you can present it and you can receive a gift from them. After accumulating 200 points what will happen next? So you have 200 points on your card yay to that! You can have now the Black card and on your next visit to Sephora you have to present the voucher to get a more prestigious gift. With the Sephora Black card you can get so many things like a gift from them on your birthday, you can earn point s and bonuses, you will get invites for exclusive events and VIP Access to private events how cool is that? I'm so excited to this Black card hopefully I can get one soon :) And if you're a person who loves to buy at Sephora this is a something for you so you won't be wasting that points.